While 3D printed eyeglasses frames have been around for years, none of the attempts to monetize printing custom glasses has really taken off yet. FDM technology still needs to work out a few of the kinks with the final surface quality and resolution. 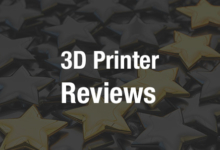 It is possible to use higher-quality printers, like an SLS or LS 3D printer, but that is still a little cost prohibitive. But with the development of advanced, high-quality filaments and materials, and improvements in 3D printing technology, it stands to reason that custom eyeglasses are going to find themselves available just about everywhere in the coming years. Especially as new 3D software and technology will allow consumers to create 3D models of themselves to try on virtual versions of clothing and accessories. It is already possible to get custom made eyeglasses lenses in an hour using traditional manufacturing technologies. If 3D printing technology becomes reliable enough to print frames just as quickly, then there is going to be a whole new business model for the eyeglasses and frames industry. It’s easy to imagine that not only could a customer sit at a computer and custom create their own frames, but they could select their own colors, shapes and even materials. They could then have their frames be 3D printed relatively quickly, and using 3D scanning technology, they could be made to fit the consumer’s face exactly. I would be very shocked if this wasn’t an option in a few years time. Perhaps a new project from a Belgian fashion design student could convince the frames industry to rethink using 3D printers to make frames. Antwerp Fashion Academy student Dávid Ring initially contacted i.materialise for help 3D printing his end-of-year design project, but Materialise concept designer Nils Faber saw a lot of potential in his work and decided to help him co-create several pairs of amazing glasses that are entirely 3D printed. Including the actual lenses in the frames. The glasses recently took the stage at the university fashion department’s annual fashion show and presentation where models walk the runway wearing student-designed clothing. Ring took his sketches, paper mock-ups of the glasses and some fabric samples to Faber so the final glasses would match the colors perfectly. Faber and Materialise converted Ring’s sketches and concepts into 3D printable models and then sent them to the company’s additive manufacturing facility. In total, five different pairs of glasses were made using two different 3D printing technologies. The frames were 3D printed using a Laser Sintering process, while the transparent frames were printed using a high-quality Stereolithography process. The frames were 3D printed as a single piece, so there was no need for screws, hinges or any assembly — they were essentially ready to wear right out of the printing bed. Five pairs of glasses were finished in vibrant monochromatic colors that that matched Ring’s bold dresses and coats perfectly. The entire collection seemed to be inspired by the mod fashions of the ’60s and early ’70s, but they had more modern materials and silhouettes. The bright colors really pop, and they are perfectly paired with the odd, over-sized almost alien-looking glasses. Obviously these are unique creations made for a student’s final project, but they also serve as an excellent example of what 3D printing can be used to create. You can check out more of Dávid Ring’s designs and fashion creations over on his Instagram account. And you can read more about the custom glasses and see more images of Rings designs over on the Materialise blog. Are you working on something similar? Let’s talk about it over in the 3D Printed Glasses forum at 3DPB.com.